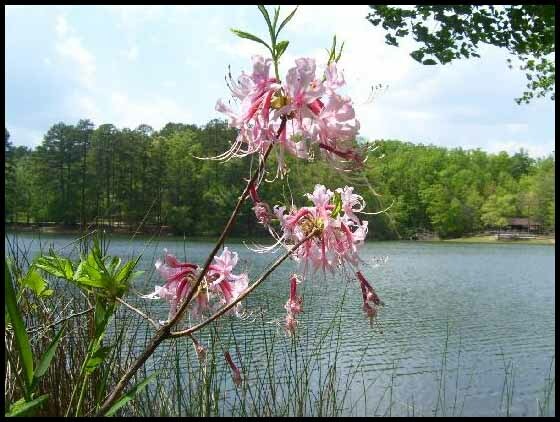 Most lake property owners are familiar with the Corps of Engineers rules regarding removing trees and bushes from the US Government property, but fewer people are aware of the plants that can be added. Exhibit III of the Shoreline Management Plan has 4 pages of native vegetation that can be planted on the corps property. A link to the Shoreline Management Plan, along with other helpful links, can be found at this page at SpotOnTheLake.com. Make sure to check in with your Corps of Engineers ranger before making any changes on the government property. And if you need a source for your plants, the Hart County Botanical Garden is sponsoring its annual plant sale on Friday and Saturday of this week. Happy planting!